Ben has been racing since the age of three, when he was first given a contract by Motorsport World at Rye House, in Hertfordshire, the same kart track where Lewis Hamilton was first noticed. At only four years old and he was the youngest sponsored athlete to be signed as a works driver. Ben progressed through karting to the top level, winning races at the British championship, where Lewis Hamilton, Jenson Button and lots more big names used to compete back in their karting days, winning over 180 trophies in his successful karting career, finishing karting at the end of 2016 after ten victorious years with some very memorable memories. It was time for Ben to move onto something bigger and better! In 2018 Ben and his family decided to make the decision to move into cars. Ben’s goal of becoming a British Touring Car Driver meant that the car he would have to drive would need to be Front Wheel Drive to get the best experience. Ben and his parents made chose to do his first year in cars in the junior saloon car championship. The car he would be driving would be a fully race prepared Citroen Saxo VTR. He would be racing against 14 – 17-year olds. In Ben’s first year in cars was very successful and he had lots of race wins and showed some incredible pace. At the opening round he won both races at the prestigious Silverstone Circuit in Northamptonshire. 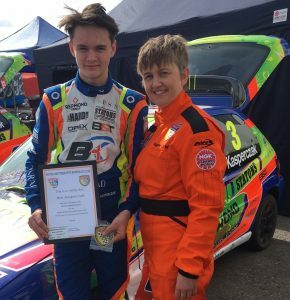 Towards the end of the year, as a result of Ben’s success, he was signed up by Team Hard as their Junior driver to progress through to the British Touring Car Championship. This would be a great help to Ben to fulfil his childhood dreams of becoming a British Touring Car Driver. 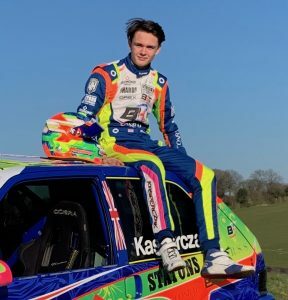 For the 2019 season Ben will be competing in the Junior Saloon Car Championship for the second year running, with the ambition of taking the 2019 JSCC title with Team-Hard and Orex Competition in a fully race prepared Citroen Saxo VTR. Ben’s Goal is to become the youngest ever British Touring Car Driver at the age of 16 and progress to become the youngest ever BTCC champion.